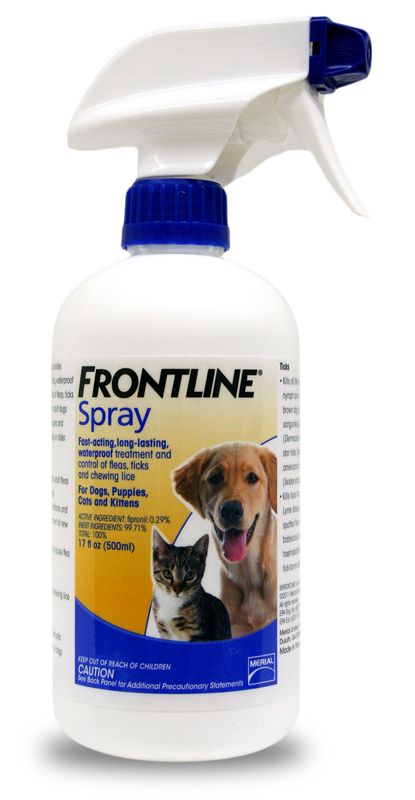 FRONTLINE® Spray provides fast-acting, long-lasting, waterproof treatment and control of fleas, ticks and chewing lice for adult dogs and cats and for puppies and kittens 8 weeks of age or older. 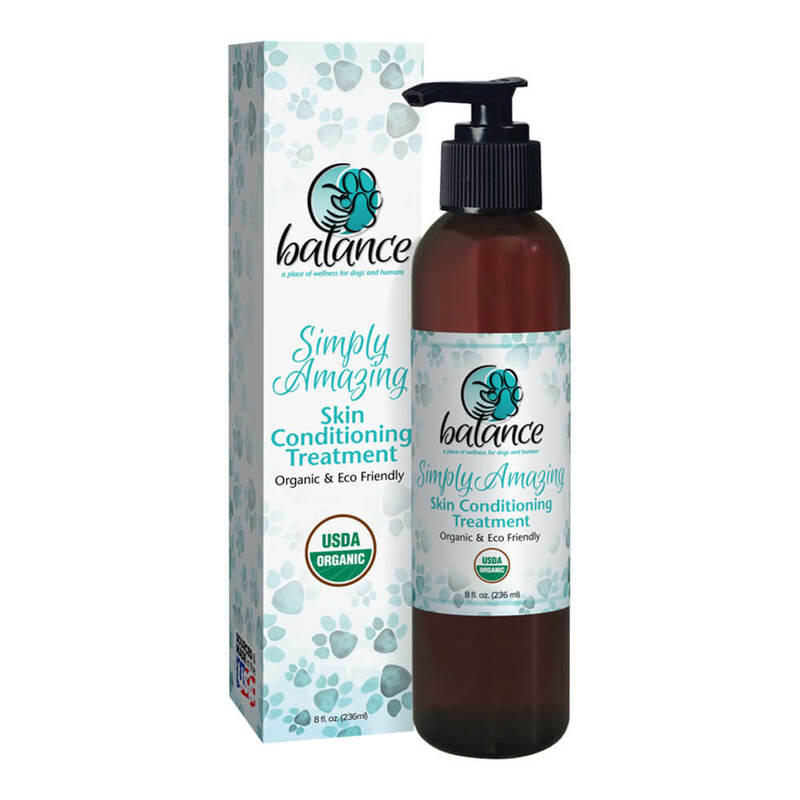 - Kills all life stages of ticks (larva, nymph and adult), including brown dog ticks (Rhipicephalus sanguineus), American dog ticks (Dermacentor variabilis), lone star ticks (Amblyomma americanum) and deer ticks (Ixodes scapularis). FRONTLINE® Spray stops existing infestations and prevents establishment of new infestations by killing fleas, ticks, and chewing lice for at least 30 days. 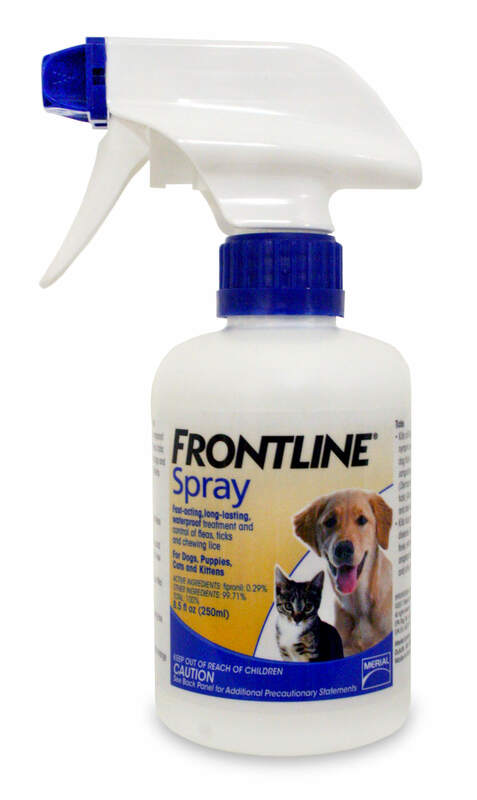 FRONTLINE® Spray may protect dogs against fleas for up to 90 days. It is a violation of Federal law to use this product in a manner inconsistent with its labeling. TO PREVENT HARM TO YOU AND YOUR PET, READ ENTIRE LABEL AND ATTACHED DIRECTIONS BEFORE EACH USE. Follow all directions and precautionary statements carefully. Use only on dogs and cats. Do not use on rabbits. Do not use on any other animals. To Open: Push the button on top of the trigger and turn the nozzle to the spray position. To Close: Push the button on top of the spray and turn the nozzle to the X position. 1: Wear household latex gloves. 2: Hold bottle in upright position. Ruffle the animal's coat with one hand while applying spray mist to the animal's back, sides, abdomen, legs, shoulders and neck. 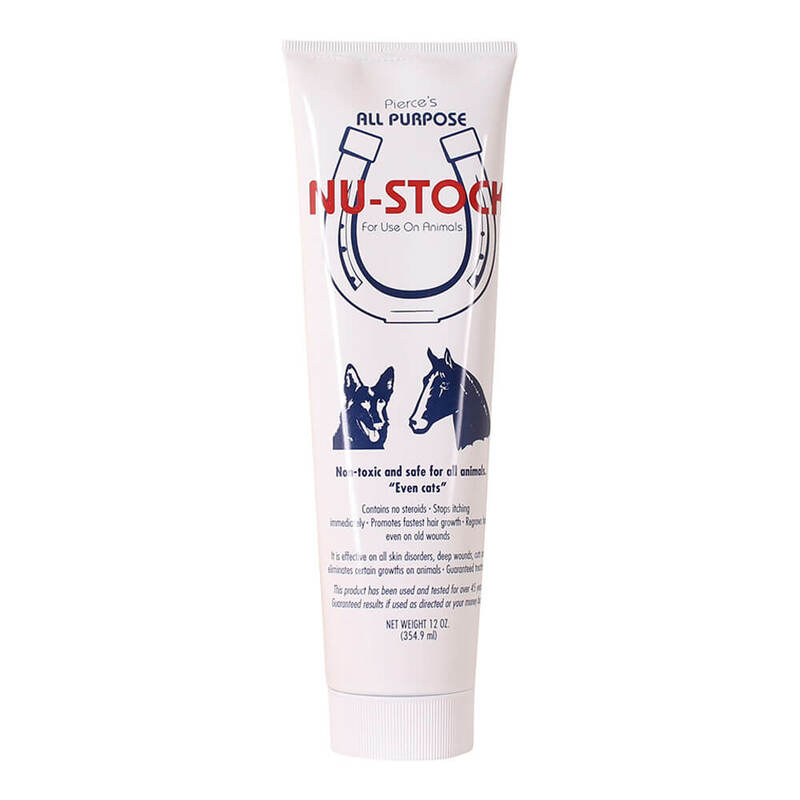 3: For head and eye area, spray FRONTLINE® on a gloved hand and rub gently into animal's hair. Do not get this product in your pet's eyes or mouth. Apply spray mist until animal's hair is damp to thoroughly wet. Approximately 1 to 2 pumps per pound of the animal's body weight will be required. Pets with long or dense coats will require the higher rate. As with any flea control product, wash hands and exposed skin thoroughly with soap and water after use. To prevent flea build-up or reinfestation, use FRONTLINE® Spray prior to the onset of flea season and monthly thereafter. Ticks do not need to receive spray directly upon their body for complete control. Multiple monthly treatments are recommended for the elimination of mites. Do not reapply spray for 30 days. FRONTLINE® Spray remains effective even after bathing, water immersion, or exposure to sunlight. ©2011 Merial Limited, Duluth, GA. HAZARDS TO HUMANS. CAUTION. Harmful if swallowed or absorbed through the skin. May cause severe eye irritation. Avoid breathing spray. Avoid contact with skin, eyes or clothing. Wash hands thoroughly with soap and water after handling and before eating, drinking, chewing gum, or using tobacco. Persons applying this product must wear household latex gloves. For external use only. May cause severe eye irritation. Take care not to spray in the animal's eyes or facial area. Do not use on kittens and puppies under 8 weeks. Individual sensitivities, while rare, may occur after using any pesticide product for pets. If signs persist, or become more severe, consult a veterinarian immediately. Certain medications can interact with pesticides. 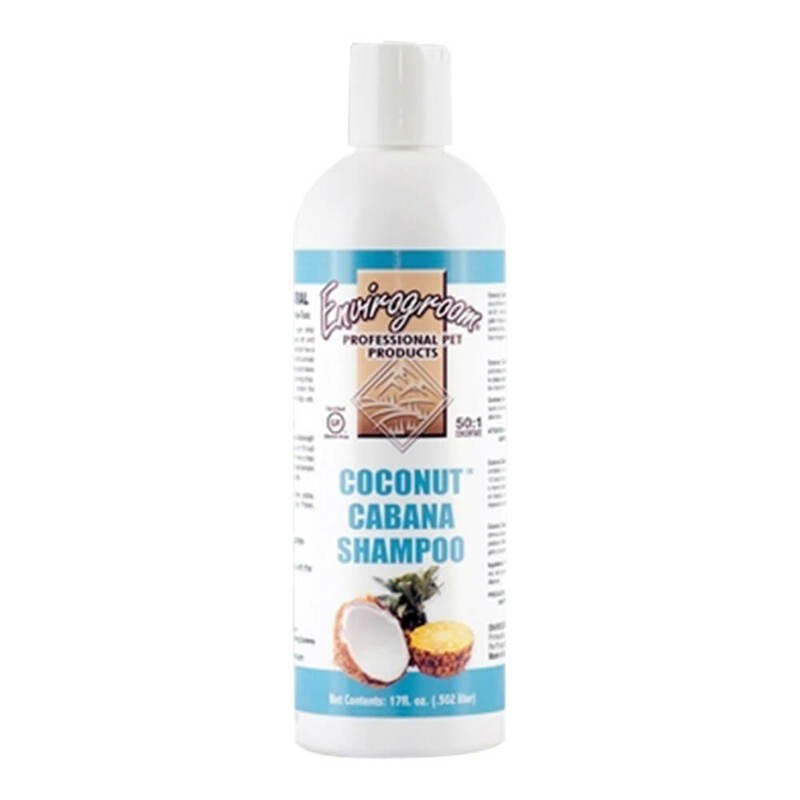 Consult a veterinarian before using this product on medicated, debilitated, aged, pregnant or nursing animals. FLAMMABLE. Keep away from heat and open flame. CONTAINER DISPOSAL. If empty: Nonrefillable container. Do not reuse or refill this container. Place in trash or offer for recycling if available. CONTACT. Please call our experts at 1-800-660-1842, Monday-Friday, 8am-8pm EST with any questions or comments about flea, tick, chewing lice and sarcoptic mange control or FRONTLINE® Spray. WARRANTY: To the extent consistent with applicable law, the Seller makes no warranty, expressed or implied, concerning the use of this product other than indicated on the label. Buyer assumes all risk of use and handling of this material when such use and handling are contrary to label instructions.